Mesoscopic imaging of cellular and subcellular optical reporters is applied to naturally transparent biological organisms or to postmortem studies using histology. This enables longitudinal in vivo observations of small nontransparent animals with applications in developmental and mutagenesis studies. In vivo visualization of fluorescence proteins can reduce the need for laborious histological analyses of multiple organisms at different time points. Instead, in vivo mesoscopic imaging can be used to guide histological intervention when important conformational or functional changes are observed in vivo. Through nondestructive longitudinal studies, mesoscopy enables observation of fast, transient events that are difficult to capture by histological sampling and eliminate artifacts that could be due to the histological treatment itself. Light sheet microscopy, often referred to as single plane illumination microscopy (SPIM), is a rapidly emerging technology that combines optical sectioning with multiple-view imaging to observe tissues and living organisms with impressive resolution. Unlike the conventional techniques of widefield and confocal fluorescence microscopy, the light sheet technique illuminates only the region surrounding the focal plane of the detection objective in a twin objective configuration. Optical projection tomography (OPT) is in many ways the optical equivalent of x-ray computed tomography (CT) or the medical CT scan. 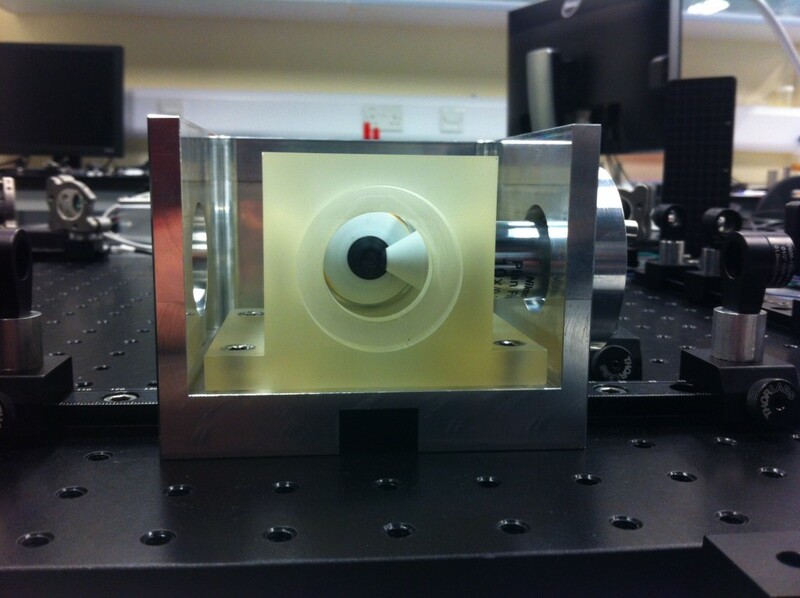 OPT differs in the way that it often uses ultraviolet, visible, and near-infrared photons as opposed to X-ray photons. However, essential mathematics and reconstruction algorithms used for CT and OPT are similar; for example, radon transform or iterative reconstruction, based on projection data are used in both medical CT scan and OPT for 3D reconstruction.